If you're looking for a serious 7-string guitar, you've found it. As part of the LTD Deluxe Series designed for professional musicians, the LTD MH-1007 EverTune offers a slew of amazing features that you won't find on other guitars. 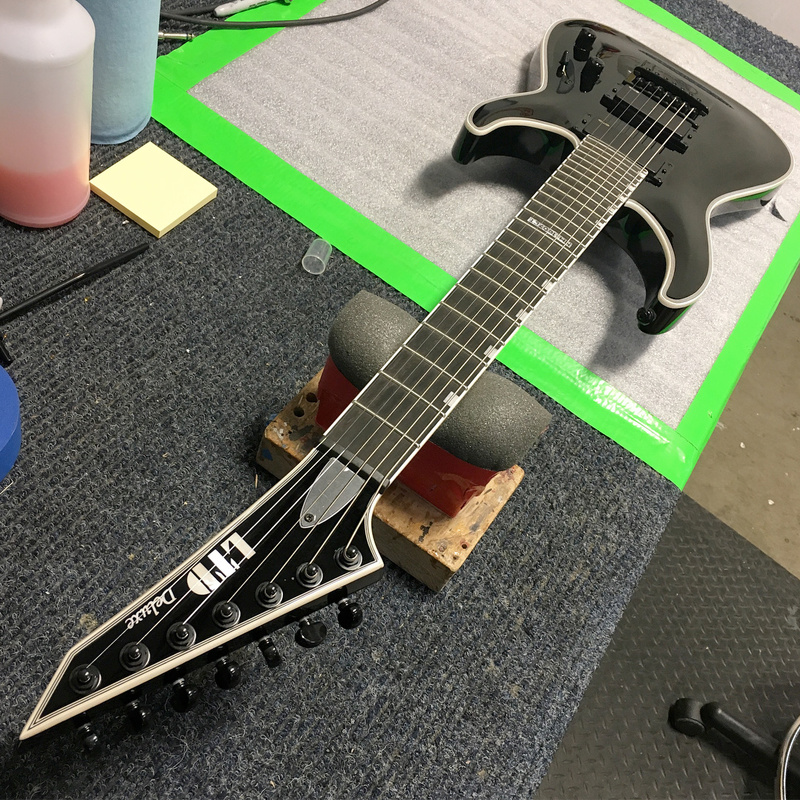 It offers set-thru construction, meaning the neck extends deeply into the guitar's body cavity, offering unparalleled access to the upper frets with a smooth heel joint. It has a mahogany body with a maple cap, along with a three-piece thin U-shaped maple neck, and an ebony fingerboard with 24 extra-jumbo frets. High-class touches are included, like its multiple white binding and Grover tuners. But the MH-1007 takes things a step further with the inclusion of active EMG 85-7H (neck) and EMG 81-7H (bridge) pickup for tones that range from dark and menacing through screaming and aggressive. Finally, the EverTune bridge ensures that in almost any conditions, your guitar will stay in perfect tune, and have incredibly accurate intonation at every point on the fingerboard. Available in Black finish. 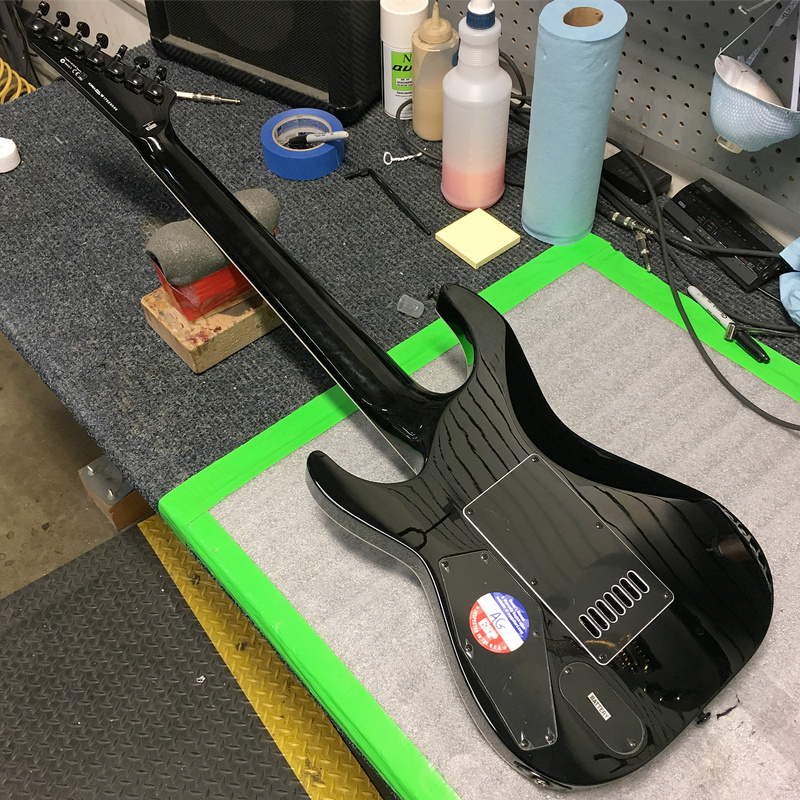 SHIPPING POLICY: We ship guitars and parts within 10 business days of payment. The customer will be notified if any items on the order are out of stock within 3 business days of payment. If selected shipping method includes tracking, the customer will be sent an email with the tracking information upon shipment. Please check the contents of the order immediately upon receipt. Damages from shipping must be reported within 3 days of receipt. CUSTOM CHARGES: International customers are responsible for all customs duties and taxes. If you have any questions regarding these charges, please contact your local customs agency. 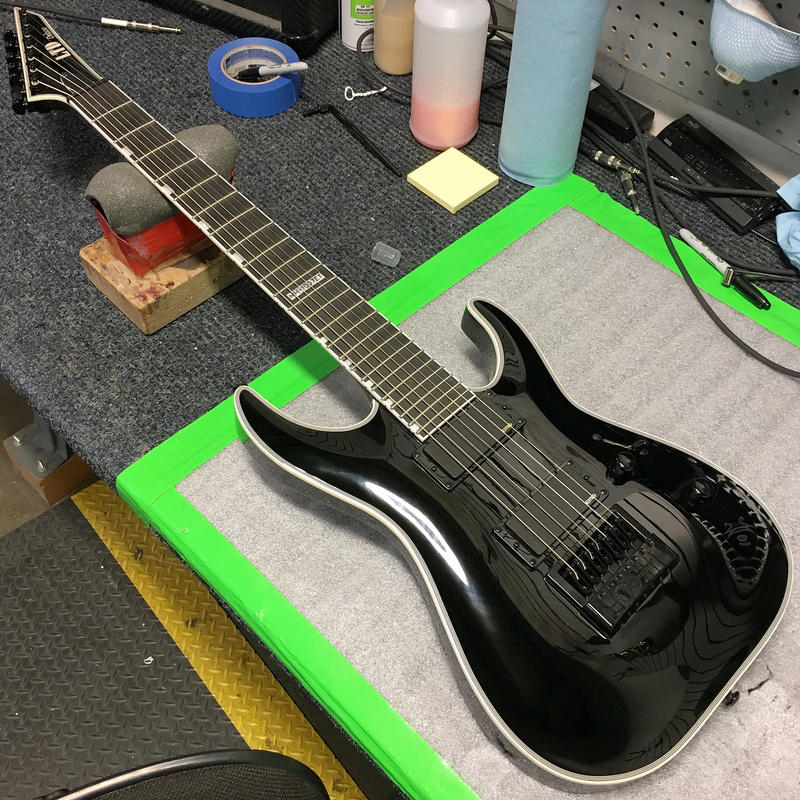 RETURN POLICY: We accept returns on undamaged new items purchased at EverTune within 30 days from order placement and 14 days from guitar receipt (in hand), whichever is later. We will pay the return shipping costs if the product is defective or the return is a result of our error. No returned merchandise will be accepted without a Return Authorization (RA). We will credit you in the same manner as your original payment within 7 days of receiving the returned item. We have a 15% restocking fee for all returned items that are not defective or a result of our error. For questions regarding our return policy please contact us via the contact form on this site, or call us at 919-730-4873. Limited-time EverTune discounts offered to subscribers first. Copyright © 2012-2019 EverTune®. All rights reserved.